Remote, quiet and off the grid. Only a deer trail to the door. A fixer upper the realtor had said. 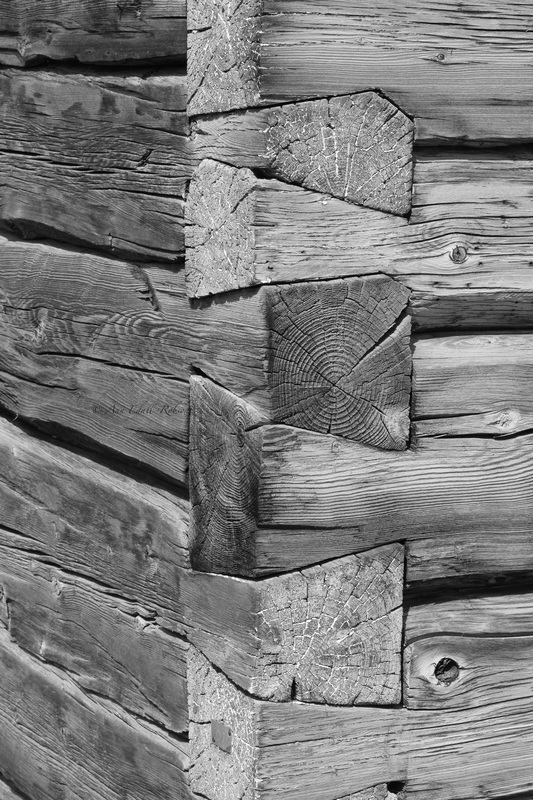 From the outside, the hand hewn, dovetail corners of the old log cabin spoke volumes. Its character surrounded by a once beautiful, but now overgrown, shin tangled yard. Stepping onto the porch, a small bench tucked against the wall, was the only welcoming party. The agent had said the door needed a little persuasion sometimes. Today, the handle turned without incident letting the light from outside stream across the room in the tiny home. Drawn in by the need to dissolve the mystery, she closed the door and leaned against its solid frame. The discovery journey of the unknown had begun, and for now, the thought of what she might uncover, sent a shiver down her spine. Not every week do we have homework from the Wednesday night Writing Group. This, however, was our latest challenge. Abbott and Costello were flabbergasted. They couldn’t believe their eyes. Everything was orange in this quaint little pub and to top it off, a dinosaur just strolled through the door. It was heading to what appeared to be his regular spot at the bar. The dinosaur obviously had clout because nothing and no one had made an attempt to fill that vacancy, until now. Abbott started to back towards the door as he took in the whole scene. Costello on the other hand was unaware of what was going on behind him. That was until a hush fell over the room and he looked up into the mirror behind the bar; and there was a dinosaur staring him down. “Abbott. Hey AAABBBOOOTTTT” Costello hollered as he picked up his Ookpic, floundered off the bar stool, and headed toward the door at an accelerated speed. “Abbott, Hey AAAABBBOOOTTTT”. Was the last that was heard as the bar door swung shut. Echo sat in the window seat cuddling her tiny bruin. Not saying a word, she looked longingly out to the garden to where the other nymphs were jumping from shadows to sunshine like vagabonds that have no homes. Hara watched her. Would the nymph break silence during the excitement of the watching the game? That was hard to anticipate. There was much animosity felt between herself and Echo; and Hara often wondered if the tiny nymph would plan a retaliatory assault. It had taken guts to deprive the nymph of her chatter. A lesson to be learned from the queen’s playbook for all who crossed Hara, the queen of the gods, goddess of marriage. The results were presented to the APL's Writing Group on June 17/15. "Well, I’m not too sure how this happened. One minute I am enjoying the best belly laugh ever and a glass of wine with my best friend; and the next thing I know I am here. The family hadn’t seen this coming. Well, if the truth be known, neither did I. The chairs were leaning against the tables. Long rectangular affairs that were covered with burlap placemats over gingham table cloths. “Last wishes, children! Last wishes! MY Last Wishes, not yours.! “I wonder if they will ever listen or read the fine print. I spelled out in point form what was to be done when I died. The oldest was starting to speak at the front of the room. “I don’t have to be here in person. They won’t tell anything because it would implicate them in anything they have to share. Let’s see who would be silly enough to spill the beans without thinking of how it would look for them”. “I think I’ll go over here and mess up the ugly table cloths and see if anyone notices. The following line from Miss Peregrine's Home for Peculiar Children By Ransom Riggs provides the prompt for this week’s challenge. As she walked down the hallway to the back door, the reflection in the mirror caught her eye. A smile crossed her glossed lips. Once pampered, supple and unwrinkled the sight before her reminded her of the treasured intimate feeling that had come over her the first time they had been together. Life had handed them a lot of diversity over the years; but they had always worked together without complaining. Snug in their surroundings and the relationship. Often taking on more than they should. Now, fading pigment and weathered from life itself, there was a worn and tired look that crept into the mirror. Parched and withered with a near the end feeling, her gaze dropped. A longing for the familiar soft caress across her fingers slipped into her mind. Where had the time gone? When did the tattered edges form? It is so hard to let go. To move on. With one last tender touch, and a gentle goodbye, she removed the much loved old leather garden gloves and walked out the door. Six words chosen by members of the group - igloo, interminable (meaning no limits), hypothesis, sunset, desolation, porcine (pig like resemblance). To be used in any written form as long as all of the words are incorporated. The sunset was a chilling sight knowing that fast on its heals was the darkness that would soon engulf the camp. A feeling of desolation lingered throughout the small group that had come to this remote location as part of the lavish interminable retreat. They had all come on their own accord. Each with their own expectations of how this, at any price, philanthropist sponsored, sleep in an igloo under the blazing northern sky, would play out. The brochure had been glossy almost gauche in appearance. Informative and exciting. Sign up now with a small deposit, balance 30 days prior to departure. No refunds. Activity list would be available upon arrival at the camp. The dangling carrot had been deftly slid into the terms. At the destination, a final game of chance would be spelled out for anyone who wished to get involved. The prize? A bi-annual, all expenses paid week of adventure at any one of the properties owned by the sponsor. Hiking in over rough terrain for the last half mile of the trip, each had been carrying loaded backpacks filled with supplies for the week. Oh, they had all come prepared. The brochure had given a list of equipment and clothing they would need. Transportation, food and accommodation had been included in the hefty price. The brochure did not tell them that after their journey, they would be left and would have to work together to survive; and, ultimately, as a team, take the final day to walk out to their transportation home. The activity list was loaded with surprise after surprise! They had now been at the igloos for three days and tensions were running deep. Tomorrow, the fourth day, they would use the maps and compasses left in each of the igloos to strategize and plan their walk to civilization. The topographical maps had intricate details of surrounding areas, trails, land marks and elevations. The catch came with the instructions found with each map.Each of the four igloo teams had been given a different map to review to find the easiest, least exhausting exit from the camp. Only one of the four maps could be used to guide them through this part of the trip. To choose the map to be used, each of the four teams was expected to come up with a compelling list as to why their route should be chosen. No interruptions were allowed during the dissertation and each person was allowed one question after each presentation was heard. A silent vote would then be taken to see which map would be used to take them out. The decision finally made they started making ready for their arduous hike the following day. On the dawn of the short spring morning of the fifth day, they embarked on their journey to the rendezvous point some eight miles away. It was not going to be an easy trek. But after much deliberation this was the agreed upon route. Five of the eight men and women had voted in favour; while the other three were adamant there was a better trail once they would reach the top of the summit. Even as they hiked, the woman with the porcine disposition regaled them with her hypothesis as to why they should take the trail she had found in her map research. It soon became apparent when they reached what they thought to be the halfway point that she had been wrong. Looking down the rock covered escarpment, that she had insisted would be a clear cut trail, the others agreed there was no way they could have traversed safely to the bottom. As the afternoon sun was slipping behind the tree line, the eight weary hikers made their way into the clearing where vehicles were waiting for them. For some the adventure had been an eternity. A five day life time they never wanted to experience again. For others, it had been a time to just figure it all out.